The trunk show is underway! Lise of Knitting Rose Yarns will be with us tomorrow night, so if you would like to meet the artist behind the gorgeous yarns this is your chance. Tomorrow is also our Spin-In from 7-9pm. 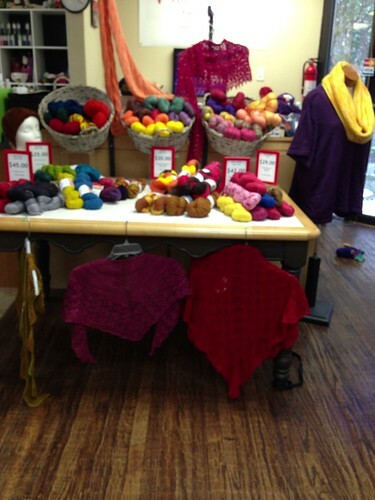 The spin-in is free, grab your wheels, your spindles, some fiber and join us!